This giveaway is now CLOSED. Thanks so much to our wonderful sponsor Borghese! We look forward to working with you again! The winner has been notified and upon confirmation, follower name will be posted both here and on our homepage. Remember: There are great giveaways active on the upper right hand side of the page! Just like we get thirsty in the heat, so does our skin! The heat and humidity of summer time is no excuse to let you skincare slide. While I know the last thing anyone wants to do in the heat is wear makeup, your skin still requires hydration, both from within and without! If you normally drink 8 glasses of water per day, up it in the summer to keep your body and skin hydrated! The secret is to use products that do not clog your pores, clogged pores will trap oil and dirt, and make you feel even 'stickier' in the heat which is the last thing you want. Product Recos for your skin + hair?, so glad you asked! Ƹ̵̡Ӝ̵̨̄Ʒ - Helps preserve the most important characteristics of youthful healthy- looking skin including helping skin feel supple and toned. Ƹ̵̡Ӝ̵̨̄Ʒ - Dermatologist Tested. Allergy Tested. Suitable for all skin types. Ƹ̵̡Ӝ̵̨̄Ʒ - Uses Moist 24™, a botanical moisturizing agent, to moisturize the upper layers of the skin for 24 hours. Ƹ̵̡Ӝ̵̨̄Ʒ - Helps protect skin’s DNA from external influences using a Bio-Nymph Peptide complex. Ƹ̵̡Ӝ̵̨̄Ʒ - Acqua di Vita Complex to hydrate and energize skin. Ƹ̵̡Ӝ̵̨̄Ʒ - Vitamin E, a powerful antioxidant, to help skin retain its natural moisture. Ƹ̵̡Ӝ̵̨̄Ʒ - A botanically enriched shampoo that cleanses hair as it moisturizes the scalp. Contains a body building formula for greater volume, substance and thickness. Ƹ̵̡Ӝ̵̨̄Ʒ - Herbal Formula - Stimulates and nourishes as it cleans. Ƹ̵̡Ӝ̵̨̄Ʒ - Acqua di Vita® Complex - Rejuvenates with mineral waters. Ƹ̵̡Ӝ̵̨̄Ʒ - Herbs and Botanicals - Revitalize and soothe both hair and scalp. 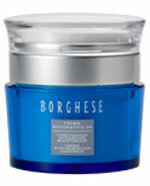 I have been using Borghese Skin Care Products for quite awhile now. And even introduced friends and family to the line. It all started with a facial I received at their skin care counter in a local department store, I bought pretty much one of everything, so I knew before going into this review that I would more than likely love the products, but I had never tried their haircare before so that was the most pleasant surprise! My hair has been an extra pain this summer, entirely unruly and super frizzy and while I am still going to require chopping quite a bit off sometime VERY soon, the Shampoo Purificante and Ristorativo Di Vita Conditioner has helped me postpone that much needed haircut! Ƹ̵̡Ӝ̵̨̄Ʒ - WIN IT! 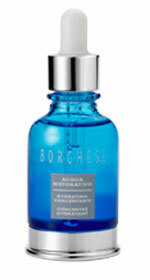 - Ascending Butterfly and our friends at Borghese have a very special surprise for 2 lucky winners! 1 winner will get the Crema Ristorativo-24 Continuous Hydration Moisturizer and the other will get the Acqua Ristorativo Hydrating Concentrate! Ƹ̵̡Ӝ̵̨̄Ʒ - How to Win: (1) You must be a PUBLIC follower of Ascending Butterfly to be eligible for this and all giveaways. Indicate in your entry that you follow (if your 'comment name/user id' differs from your profile id, please let me know what name you follow under) and (2)MANDATORY-Visit Borghese and post the URL Link of any other product that catches your eye EXCEPT the reviewed products above! (3) You must also leave your email address somewhere in your comment. (You can format it this way for security, example: ascendingbutterfly AT mail host DOT com). (If your email is clearly visible in your profile, you can just say so, that's OK!) Please follow the easy 1, 2, 3 steps to winning (or in this case, the A,B,C’s of winning!) This giveaway is open to USA who are 18 years of age or older. No PO Boxes. One entry per Household, see Ascending Butterfly Giveaway Rules and Disclosure Policy HERE. Ƹ̵̡Ӝ̵̨̄Ʒ - Please follow directions or you will be disqualified! All comments are moderated, they may not appear on the site right away (comments like "I want this" or "I want to win" will not be entered). You have from Tuesday, July 26, 2011 until Tuesday, August 02, 2011 at 03:00 PM (EST) to comment and be entered for a chance to win. You will have 48 hours to confirm if we do not hear from you we will be forced to move on to an alternate. (We only notify winners DIRECTLY via email, so if your profile or your comment does not have an email your entry will not be processed) You cannot have won a Carolina Pad prize pack orgift certificate in the past 90 days. Id like the smoothing hand creme spf 8. http://www.borghese.com/product_detail.cfm?c=b&cat=25&pid=470404 & I Follow - Email in my PRofile. I'm a public follower of Ascending Butterfly on GFC and I would like to try the Cura-C Anhydrous Vitamin C Body Scrub. My email address is in Blogger profile. Following @BorgheseBeauty on Twitter @hle123. I'm a public follower of Ascending Butterfly via GFC. I'd love to try the Cura-C Anhydrous Vitamin C Body Scrub to moisturize & smooth my skin. Ristorativo Di Vita Conditioning Treatment for Hair and Scalp. I entered the Elliott Lucca giveaway. I follow @BorgheseBeauty on Twitter under the username likwan. I tweeted about this giveaway on Twitter at http://twitter.com/likwan/status/98466567381188609. 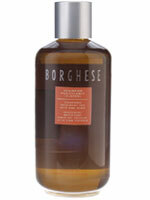 I follow Borghese on Facebook and let them know you sent me at https://www.facebook.com/likwan/posts/10150270759008774.